FAST COFFEE ENERGY BOOST -- These ready-to-drink coffee shots pack the energy of 2 full cups of coffee into a 2 ounce shot - 200 mg caffeine - Take them on the go and drink whenever you need a quick pick me up. 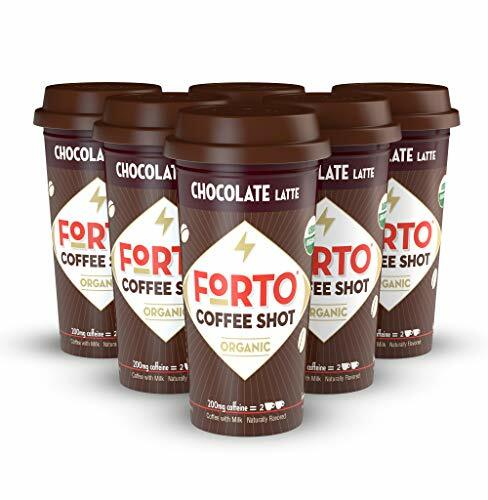 THE NATURAL ALTERNATIVE TO ENERGY DRINKS & ENERGY SHOTS -- FORTO delivers the same amount of caffeine as leading enegy drinks and energy shots without the artificial and potentially harmful ingredients -- All of the caffeine in FORTO comes from real coffee. Final Price as low as $10.22 Shipped!